DAVID LE/Staff photo. 3/31/15. 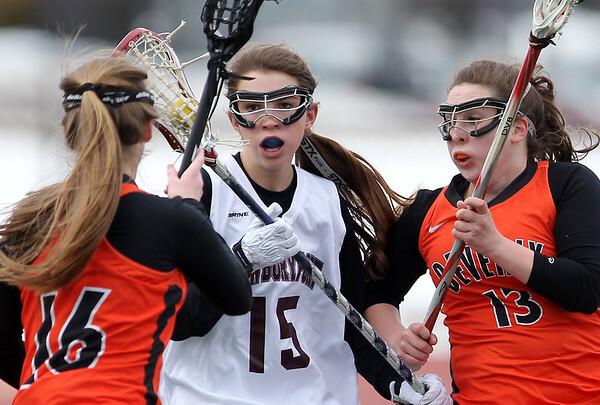 Newburyport midfielder Margaret Cote (15) tries to bring the ball upfield while being double-teamed by Beverly's Darcy McAuliffe (16) and Liz Musumeci (13).